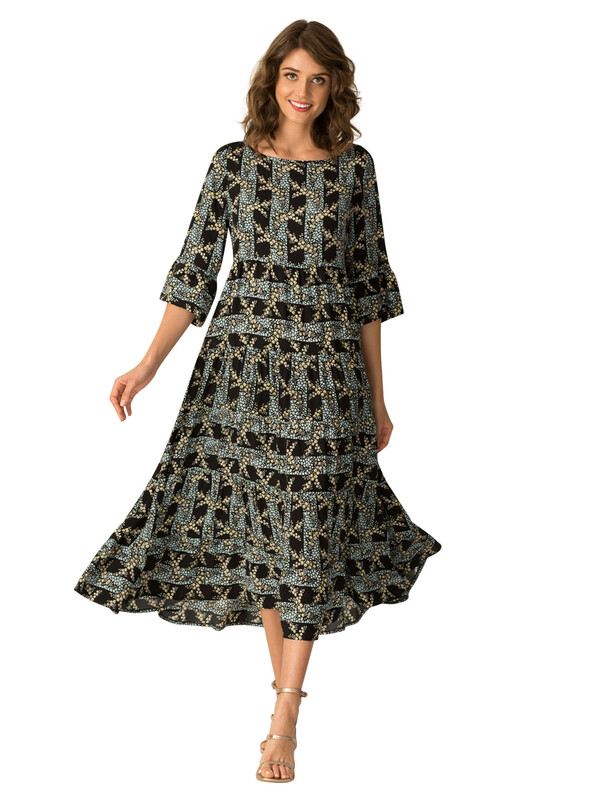 Laura is a Beautiful Double Tiered Dress with a Soft Boat Neck, Paneled Skirt and Elbow Length Sleeves. 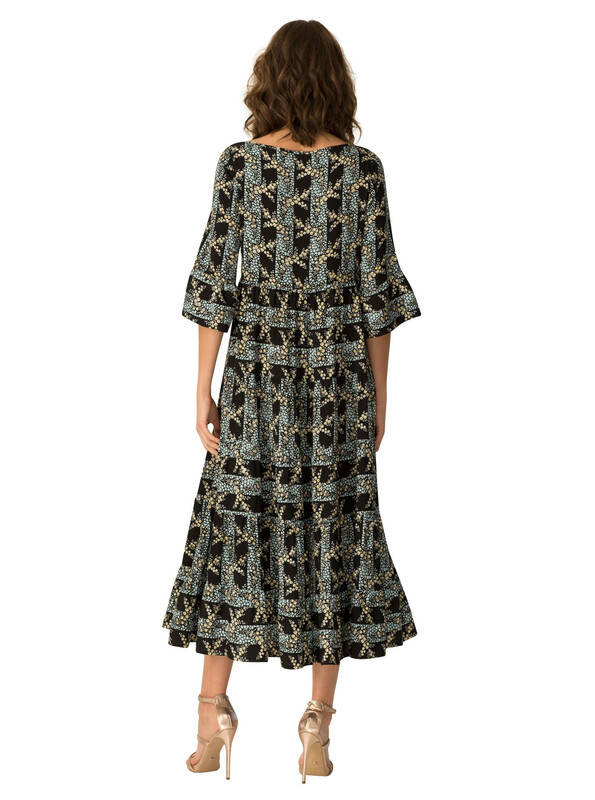 Laura Features The Exclusive Blue Cobblestone Print From Our London Print House Designed in France in the Late 19th Century. Dressed up or Down Laura is the Perfect Summer Soaked Look! - The Exclusive Blue Cobblestone Print is From Our London Print House Designed in France in the late 19th Century.